The interest for the guitar was basically since ever an interest for music. At the age of four I used to remain for hours aside the turntable of my great-parents listening to music, as if hypnotized, both by the music and by the object itself! Then, when I was eight, as there was a guitar at home and nobody was playing it, I asked to my parents to have music lessons. Two years later I was entering the Music School of Salta (the city in the Northwest of Argentina where my family settled) and started studying guitar with Graciela Lloveras (a former student of Regino Sáinz de la Maza and Narciso Yepes in Spain) and violin with José Casas. Eventually I kept playing the violin for one year but the guitar took finally over. In the same school I had five years of complementary piano training, and later I did also some conducting studies. 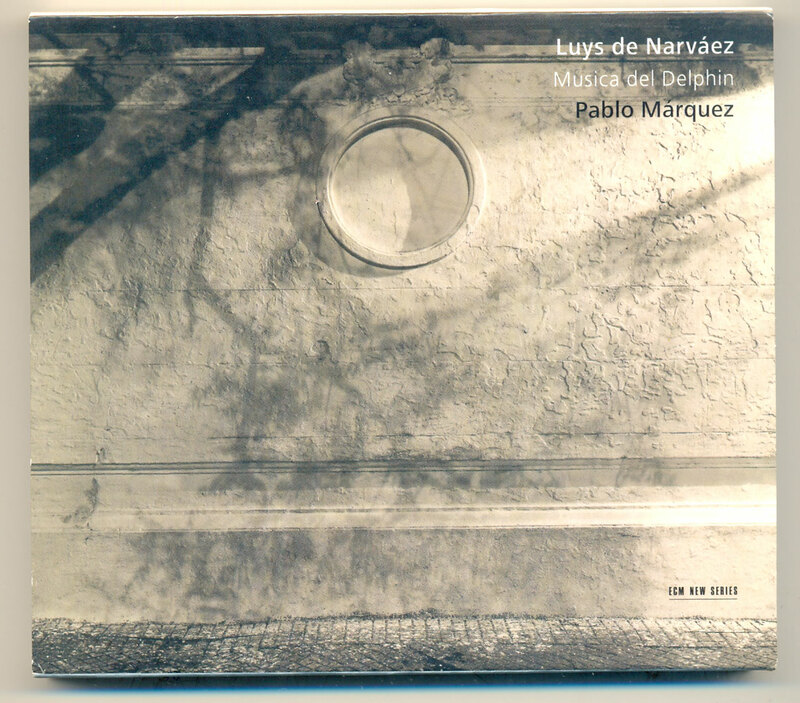 I started to listen to and to know your music with the ECM’s record on Luys de Narváez Musica del Delphin, which introduced me to the music of the great composer. How much time was necessary to prepare and to record the scores you played in that cd? 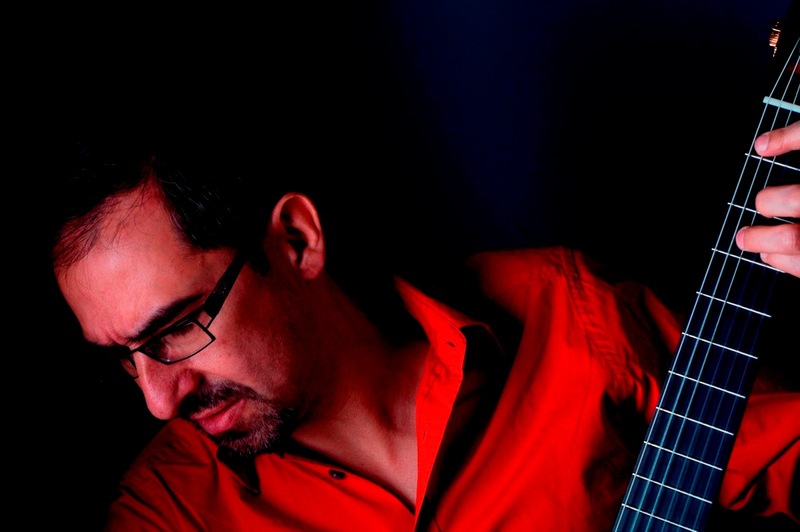 I started delving in Narváez’s music when I arrived in 1988 in Paris to study Early Music with Javier Hinojosa. He opened to me the doors of understanding Renaissance music, and since that time this repertoire stayed with me constantly. So I can say that it was a work of nearly 20 years of getting it “to the point”! The recording itself was made in two days. 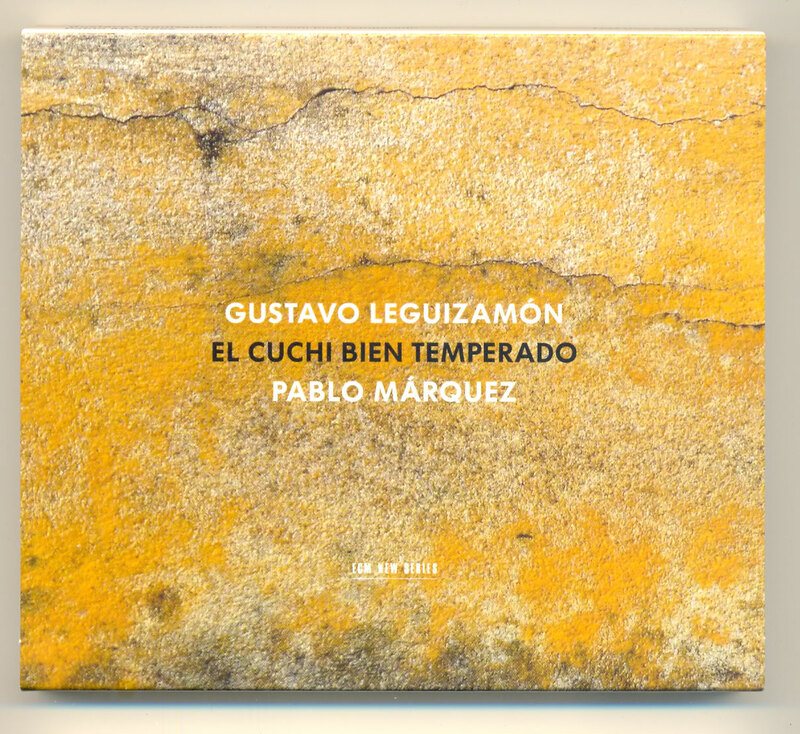 Why did you choose to play the music of Gustavo Leguizmon in your last ECM’s record? For many reasons! When I first met Manfred Eicher (the famous ECM’s founder and producer), it was in the frame of the residence Figures Argentines at the Abbaye de Royaumont, together with Dino Saluzzi (one of the main ECM recording artists, who is also from Salta) and Gerardo Gandini (an outstanding composer and pianist, student of Ginastera and member of Piazzolla’s last Sextet). At that occasion I was presenting my CD Corazonando, published by the Argentinean label Epsa and dedicated to the music of composers from Salta. That recording included already three pieces by Leguizamón. Manfred liked very much these arrangements and suggested me to do, years later and after Narváez, an Argentinean recording, so the idea of an all Leguizamón disk came naturally to my mind. “Cuchi” Leguizamón (as everybody calls him) is on his side, together with Eduardo Falú, the most representative musician from Salta before Dino Saluzzi, and had many skills: besides being a wonderful pianist and composer, he was also a poet, a lawyer and a History teacher. This is by the way how I met him; he was my History teacher at college when I was 13, and at that time I didn’t know he was a musician and even less about the importance of his output for the Argentinean music! Why the recording project “El Cuchi bien temperado” alludes to Bach’s music? Cuchi Leguizamón was the unparalleled master of the zamba, and more than half of his compositions are zambas. Therefore, when I started planning the recording it was clear that the majority of the pieces where going to be examples of that form. So, in order to avoid monotony and provide a wealth of colours, I set myself the challenge of never repeating any key in my arrangements. I could then, through these arrangements, visit all the 24 major and minor keys, and thus the project was finally called El Cuchi bien temperado -a word-play with El Clave bien temperado by Bach. Furthermore, I used some of Bach’s typical compositional techniques in some arrangements, for instance in Chilena del solterón, where the interlude’s melody is the exact inversion of the introduction’s one; or the introduction of Zamba de Lozano, which I shaped in the form of a passacaglia; or the contrapuntal texture of Chaya de la albahaca, where I use the introduction’s motif to create unity with the rest of the piece. What difficulties did you find arranging this music for guitar? When you first hear Cuchi playing his music at the piano you would never imagine that such a rich harmonic and textural ideas could ever fit on a guitar. That kept me away from even trying to arrange his music for a longtime, and that was maybe the highest barrier. Once I started I had one priority, that of staying faithful to the spirit of his music. Very often you hear versions that are too light (let’s say “new-agish”), or to simple, or too intellectual and disconnected from the traditional or “telluric” roots (Cuchi’s tour-de-force was, in my opinion, his alchemistic balance between tradition and a modernity he was the first to bring in that language). In a word, it was difficult to find the right tone. The other challenge came from my choice of not repeating any tonality, in how to make the instrument sound well in every key. We know that the guitar can be very limited playing in some keys (D-flat Major, E-flat minor or F-sharp Major for instance! ), so I had to unfold all the imagination I was capable of in order to make it sound natural. Furthermore, as the traditional forms of zamba, chacarera, cueca, bailecito, etc. are choreographic and therefore repetitive, I had to imagine variations for every repetition, trying also to create with every piece a unique atmosphere and vary the ideas and the techniques. In a way, it was a big work of composition from my side as well! I was first confronted to improvisation during the same Royaumont residence with Dino Saluzzi and Gerardo Gandini I mentioned before. Both of them were amazing improvisers (Gandini passed away in 2013), and initiated me in this vast territory. For a musician with classical training and background like me it was literally a shock! Later I could eventually play with Dino in a concert-tour with his family band and in trio with bass, experiences where improvisation was at the center of music-making. Even though my musical life still goes through other paths (I don’t consider myself as an improviser), experiencing improvisation on stage gave me the feeling that music happens always here and now. This idea was of course also conveyed by many classical musicians, Celibidache and Sebök for instance, but that feeling of “to be or not to be” was never clearer than when I was involved with improvisation. Since then I always try to get that feeling while playing written music. To answer the second part of your question, improvisation has been since ever an inextricable part of music making and testimonies of every age up to the XXth century are legion, particularly those of Narváez and Francesco improvising four voices fantasias, Bach improvising fugues, all the classics improvising the cadenzas for their own concerti, Liszt, and even Bartók and Prokofiev. But somehow a divorce started operating in the middle of the XIXth century that took away the composers, the interpreters and the improvisers from each other. This is why I am so fascinated by figures like Dino Saluzzi or Gerardo Gandini, who reunite all these three functions in one person again. Using mistakes to unveil new paths is a classic tool of improvisation. I could experience this and I used this concept while doing the arrangements for the Leguizamón recording. For instance, the complete second half of Zamba de Lozano is generated by a “mistake” in the last chord of the first half, where instead of B-minor I wrote a diminished fifth chord (I did that error while improvising and searching ideas). That gave me the possibility to explore a totally unusual harmonic field for this piece, which never had happen if I never had made the mistake. I would say it depends on the interpreter or the composer. Personally, I find it thrilling to have nowadays access to the complete Music History’s perspective. That gives me the feeling of wonder of such a variety and diversity of expression through the ages and cultures. I find extremely important for the musician I am, to put every work in its context, should it be cultural, ideological or simply esthetical. Having this perspective helps me doing that. With whom would you like to play? What kind of music do you listen to usually? I shared more than half of the time I spent on stage during my musical life with other musicians, and I had already the luck to play with many great artists, such as Anja Lechner, the Rosamunde Quartett, Patricia Kopatchinskaja, María Cristina Kiehr, Mario Caroli, Ruth Rosique, Sergiu Luca and many others. I also played under many great conductors like Susanna Mälkki, Lorraine Vaillancourt, Joseph Pons, and others. If I could dream freely, I would like to share some music making with Martha Argerich, Daniel Barenboim and Pablo Heras Casado. Many, but I cannot unveil them for the moment, except that the next collaboration with ECM will be the first recording of Luciano Berios’s Chemins V for guitar and orchestra, with the Orchestra della Svizzera italiana conducted by Dennis Russell Davies.